After his big success of presenting the reboot of Carl Sagan’s Cosmos series, astrophysicist Neil deGrasse Tyson will be hosting a late-night talk show. National Geographic Channel just declared that they’ll be adapting Tyson’s long-running podcast, Star Talk, for TV. The late-night talk show, a first for the channel, will be recorded in front of studio spectators at the American Museum of Natural History’s Hayden Planetarium, where Tyson works as director. 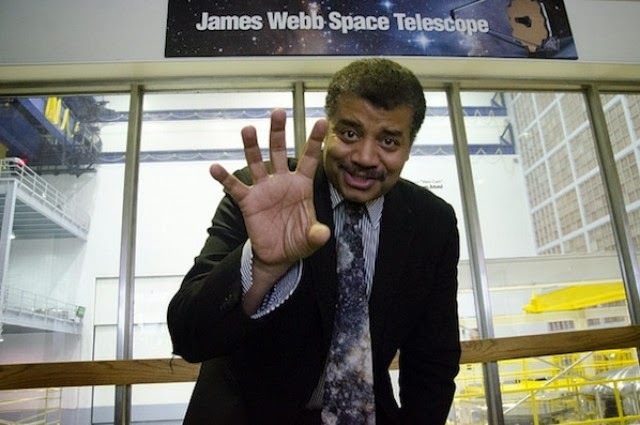 Astrophysicist Neil deGrasse Tyson says in a news release “Cosmos allowed us to share the awesome power of the universe with a global audience in ways that we never thought possible. To be able to continue to spread wonder and excitement through Star Talk, which is a true passion project for me, is beyond exciting. And National Geographic Channel is the perfect home as we continue to explore the universe.” Each week, he and his invitees will talk about a huge range of cosmic subjects from alien life and the Big Bang to the future of Earth. Star Talk is scheduled to premiere in April.